Import recipes from websites or add your own manually. Share your recipe book with friends and family. 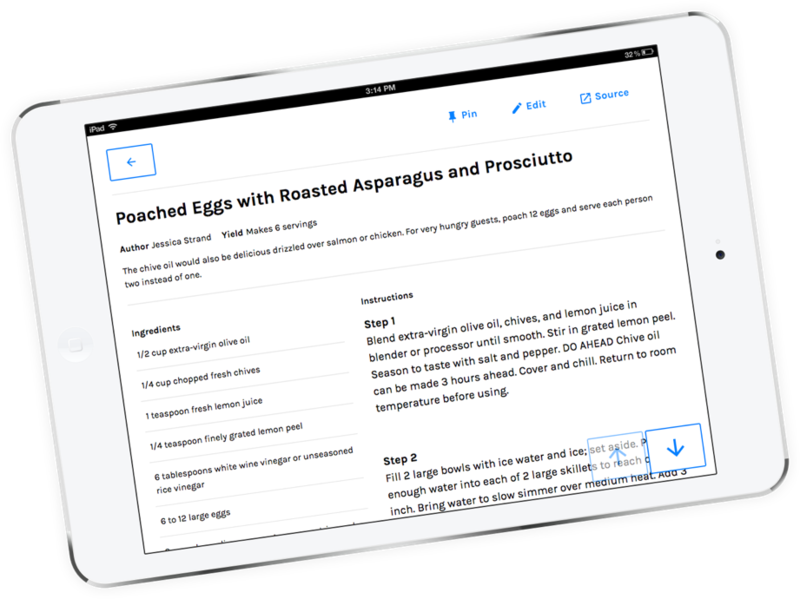 Tablet and kitchen optimized interface makes following your recipes easy.